San Carlos, CA - Nov 13, 2009 - Ardent Impressions Inc, the northern California leader in retail Santa photo promotions, is partnering with Catch-Santa.com/ardent on their web-service that delights children by ‘catching’ Santa in the act of entering their home. Catch-Santa.com/ardent proved wildly popular after its launch last year and expects to enjoy significantly greater success this Holiday season. This new service builds on the personalized Santa experiences Ardent has been providing at prominent regional shopping centers for over 30 years. Ardent provides an authentic Santa with real beard, an array of desirable SantaFotos Packages and a professional team of Santa’s Helpers to guide the process. 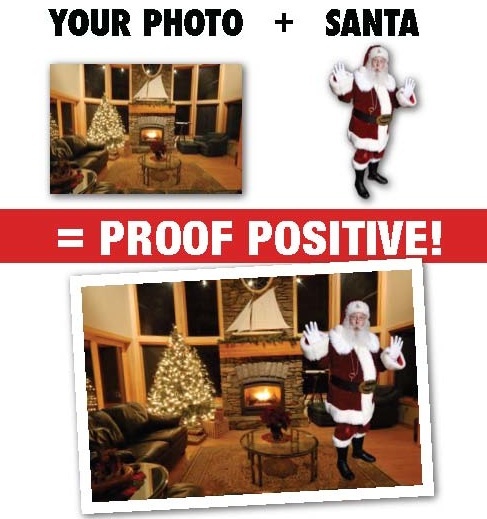 Ardent also makes SantaFotos available online and does a range of other seasonal retail and business promotions including holiday party visits and Pet Photos with Santa. Ardent Impressions Inc has been helping a wide range of clients build traffic, loyalty and their brand for over 30 years (often under the InstaFotos and West Cost Promotions brands). We are the market leader in on-site personalization; putting names and faces on branded giveaways at tradeshows, corporate and sporting events. Personalizing a gift significantly raises its perceived value and makes it far more likely to be kept. Popular services include photo mementos, laser and diamond-tip engraving, debossing, foil printing and embroidering, all with lead capture, tracking and reporting. All our services are crafted to support and integrate with our client’s larger branding, marketing and sales efforts.